Air Lift 1000 air springs are a safe, quick and easy way to support your vehicles suspension to get help keep your vehicle level while towing or hauling a heavy load. A level, stable vehicle means better braking, steering, and headlight aim. Air Lift 1000 springs also reduce sway and bottoming out while maximizing ride comfort. 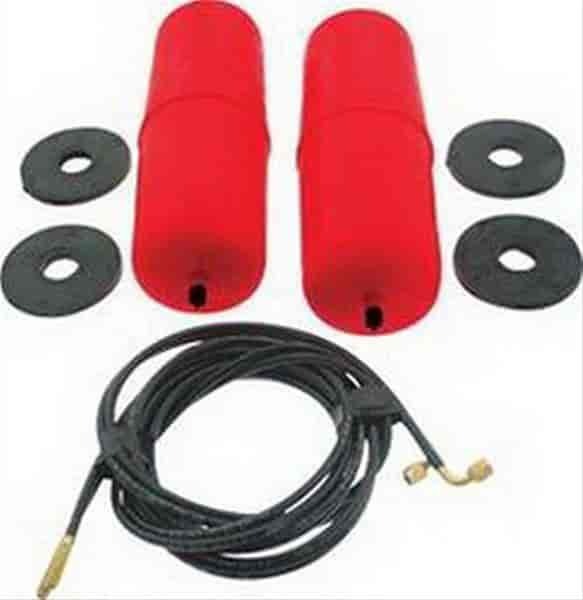 The kit includes two durable, easy to install pressurized air springs that provide a load leveling capacity up to 1,000 pounds. Designed to work together, these two air springs share the duty of supporting your vehicle's rear suspension. For optimal safety, never exceed your manufacturer's recommended Gross Weight Rating. Lifetime air spring warranty. Does Air Lift 60797 fit your vehicle?